The default behaviour for public internet facing websites should allow for anonymous access, but in reality, SharePoint does not accept anonymous access by default. So how can you set up the SharePoint site to accept both anonymous access and domain credentials ? In fact, it is very easy. In the IIS site settings, under “authentication“, the “Anonymous Access” setting is enabled. Next, I connected to this site and logged on with an admin account. Anonymous access is not enabled yet at this point, so you’ll have to specify a username/password with admin rights to the site. If you did not allow Anonymous access while creating the site, go to the Sharepoint Central Administration website and open the “Application Management” tool. Open “Authentication Providers” under “Application Security”. Select the Web application that needs to be modified. Next, click the “Default” zone and enable the “Enable anonymous access” checkbox. Click “save“. This will only enable you to enable anonymous access in your Sharepoint site. It will not enable anonymous access to the site by default, so you’ll have to grant access manually on the site level. To do so, open the site, log on with admin rights. Now, close the browser and connect again. You will be automatically logged on as “anonymous”. You can still use the “sign in” button in the upper right corner to manage the site. Nice huh ? But what about allowing anonymous people to post comments ? Select the type of access anonymous users will have in the comments area, and click “OK” to save the changes. 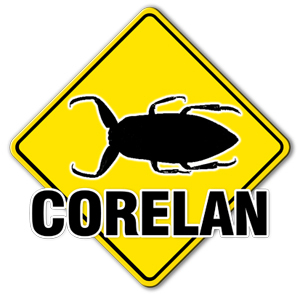 © 2007 – 2008, Corelan Team (corelanc0d3r). All rights reserved.